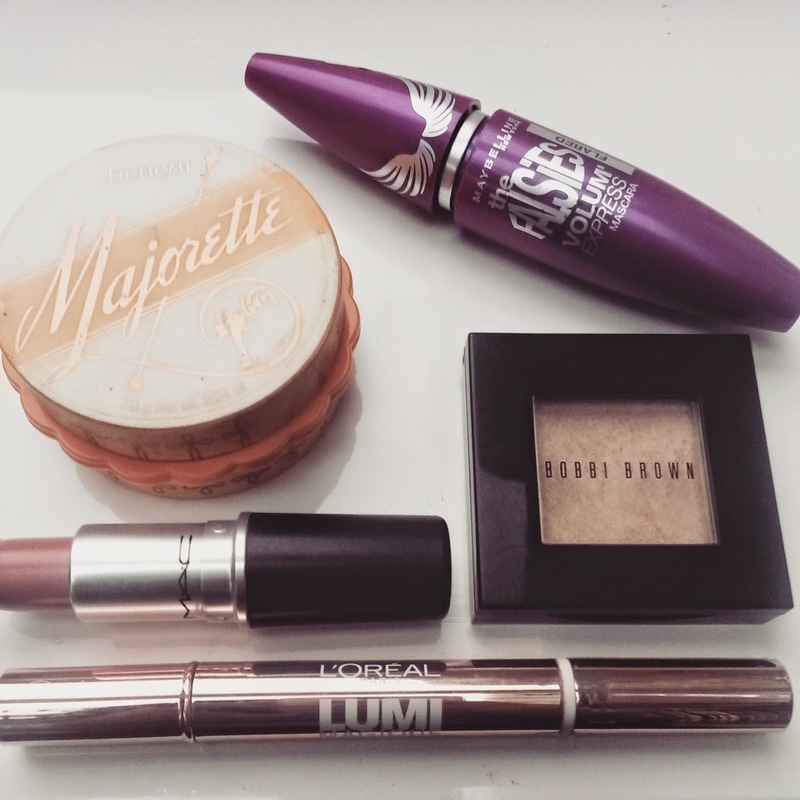 Unfortunately some people will be in work today, and a lot of people are back in work tomorrow ...but with a New Years hangover, and food baby from Christmas still lurking, I thought I'd help a girl out, and share my super easy steps to a 'please let me stay in bed for 5 more minutes' makeup routine. I like to add moisturiser to liquid foundation - not only does this cover both basis in one go but it also makes foundation easier to apply. If you have oily skin, try adding primer to your foundation instead. Apply highlighting concealer just under the eyes to brighten by dabbing in the product with your fingertips for a quick and easy flawless base. The perfect way to create that fresh as a daisy look - even if you're not feeling it, is to dust the apples of the cheeks in a pink or coral blush. Although I prefer powder (especially for quickness!) a great way to create that natural morning glow is to use a cream blush such as Benefit Majorette applied with a stippling brush. Add a light pearl shimmering eyeshadow all over the lids and in the inner corner of the eyes - using fingertips to apply is totally acceptable! 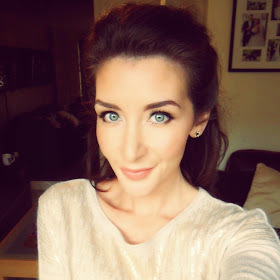 My fave is Bobbi Brown Shimmer Wash, in the shade Champagne. If you're like me and NEED to wear eyeliner, I line the upper inner rim with a waterproof liquid liner. This way there's no worry of being neat and precise. You wouldn't think that this would make much difference but it frames the eyes so nicely! I call this 'invisible eyeliner'. The most important part of eye makeup is mascara. Jet black on both the upper and lower lashes ...and on both sides to fully cover the hairs. Apply a couple of coats to really build up the length and thickness. If you have the time, dust some translucent makeup powder over the lashes first to add more volume before applying mascara. There is no excuse for bare lips. For many years I used to miss out this step in my makeup routine because I hated the feeling of product on my lips, but I promise you'll look (and maybe even feel) so much better. For super quickness I sometimes just slap on some Carmex lip balm for a healthy sheen. A natural pink lipstick also looks good and doesn't require lipliner or blotting. My fave 'my lips but better' is MAC Peach Blossom.